Since Valentine's is well and over its time to start the St. Patrick's day decor. This is the first year that I have really embraced decorating for all the holidays. Now that I have my mantel shelf I'm really enjoying changing it out month to month and having to a place to create my holiday vignettes. By the way, I've received a lot of questions on where I got my shelf. My husband built it for me. I know, so lucky! He has agreed to sit down and write some basic instructions and measurements so you can attempt your own if you wish. So that will be coming soon. Anyway, when trying to decide what to add to my mantle to St. Patty's Day it up, I of course thought of shamrocks. This is what I came up with. Not bad right? Here's how you can make your own. First gather your supplies. 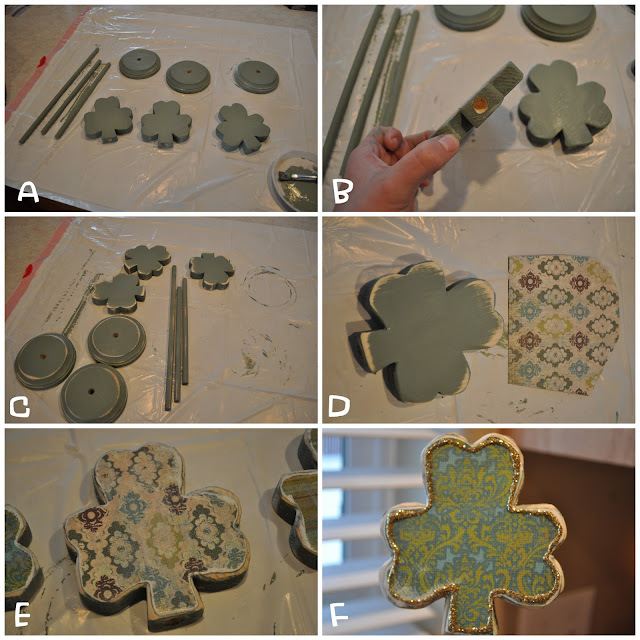 The shamrocks I cut with my scroll saw using a basic shamrock image that I printed online as my template. They are about an inch thick. The bases are little wood plaques I found at Micheal's. You will also need dowels (two are 9 inches long and the other is 12 inches), scrapbook paper, modge podge, sanding paper, hot glue, craft glue, and glitter. Then cut a piece of scrapbook paper that is a bit larger then your shamrock. (D) Apply a generous coat of modge podge to the shamrock and put the paper on, rubbing all the air bubbles out. Allow to dry. Once dry sand away all the excess paper. (E) My paper was really thick so I cheated and used the palm sander. If you don't have access to a palm sander, I recommend using thinner paper if using this modge podge technique. You can always cut you paper to fit before applying too. Then all that's left is assembling the pieces. I used hot glue in my joints to keep everything secure. Be sure to get it straight before your glue dries! And there you have it. Your own little shamrock garden. 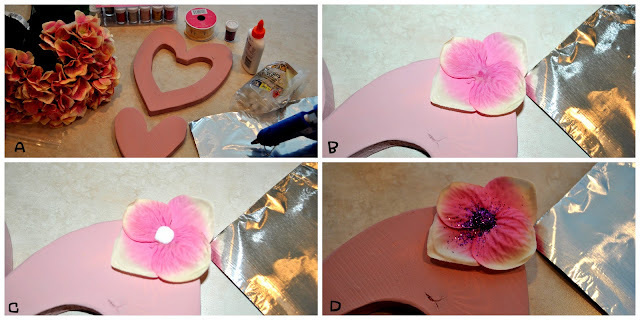 It has been awhile since I did a Scrumptious Sunday post so I thought I'd share the goodie I made for Valentine's day. The day before V-day, I asked my hubby what special dessert I should make to celebrate with. His reply was "Do you remember that melting chocolate cake we went crazy over on our cruise? Make that!." Uhh.... he must have greater faith in my cooking abilities then I do. But that same day while blog hopping I came across a recipe from Chocolate and Carrots for Nutella Chocolate Souffles. So I gave it a shot and they were incredible... amazing... unbelievable... rich chocolaty goodness. That's her picture, not mine. Mine were gone before the camera could even cross my mind. They were actually really easy to do too, so you have to try it! I am SO excited to announce the new "bloggers" craft group that I am involved in! I have teamed up with three other fantastic blogs, Under My Umbrella, Crafty Sisters, and Craft Goodies. We are going to take turns "hosting" the craft group for the month. The event will start the first Monday of the month on the blog of whoever is hosting. (So follow each of the blogs so you don't miss anything!) The host will pick a project but all four of us will show our variations of the same idea. Then we will be having a link party so all of you can join in too! I'm so excited about this and hope you all will play along. 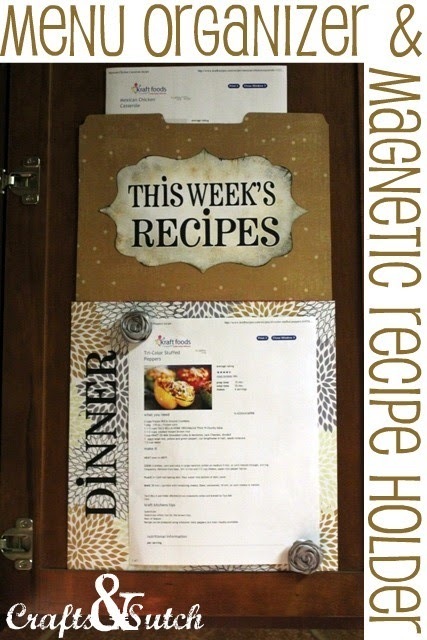 Its so much fun seeing what people can do with an idea and i love seeing all the inspiration from other bloggers. 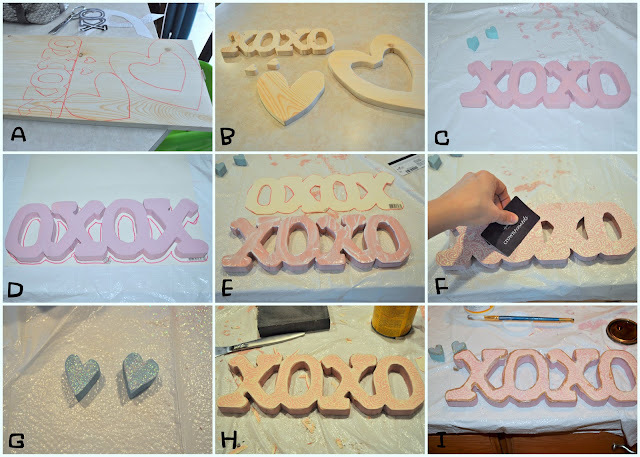 Please visit our Wood you like to Craft? site for more details. Melinda at Under my Umbrella is kicking it off on Monday, March 7th. So be there or be square! Also, I would LOVE LOVE LOVE you forever if you would help spread the word. So give us a little shout out on facebook or your blog and tell all your friends. The more people who join in, the more fun it will be! Welcome to the first installment of my blog design tutorials! I want to start off by saying that I love doing blog designs. It is so much fun creating web homes for people. But I also understand that a lot of people can't hire a blog designer. In fact that is how I became a blog designer. I couldn't afford to hire someone to makeover my blogs so I learned how to do it myself and a whole little home based business sprung from it. I can't even tell you what a blessing its been. I am completely self taught. Everything I have learn to do I either found through blogger forums, other kind peoples tutorials, or trial and error.... a LOT of trial and error. So doing this mini series is my way of paying it forward to all the kind people out there willing to share their knowledge and inspiration. Let's make blogland cuter! 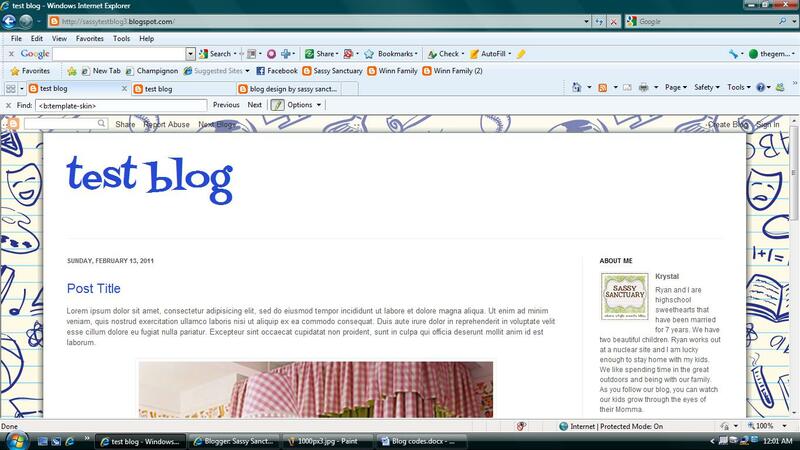 How to stretch your blog beyond 1000 pixels. Most of my blog designs start out as the "simple" template in template designer. While I have never done this particular trick in another template, it should work whichever template you use. 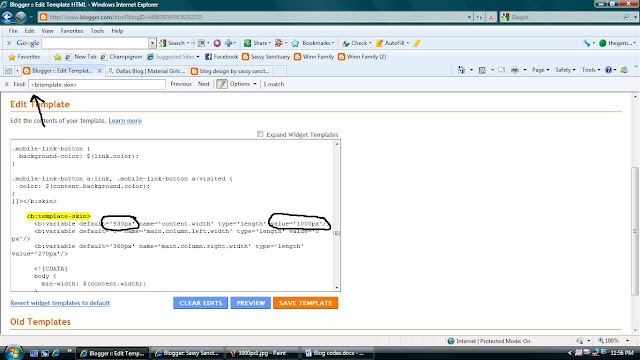 Step 1: Sign into your blogger account and go to design-- edit html. It is always a good practice to back-up your template before editing in case you screw everything up. (you do that by downloading and saving the template...as circled) That being said, I never back it up but I always preview any changes before I hit save. If you are at all nervous about edit html code then I suggest you back it up. On a PC you can hit CTRL F and a little search box will appear. That helps a lot when searching for codes. 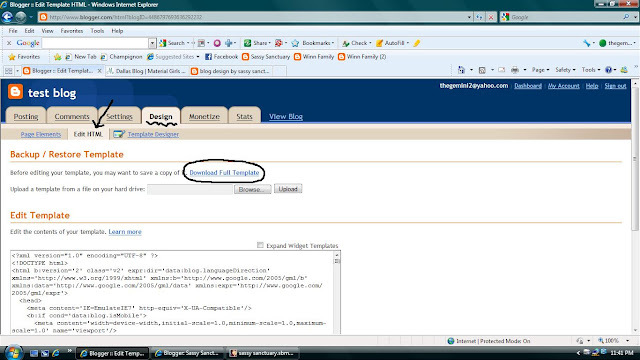 Step 3: See the two number circled in the image above? 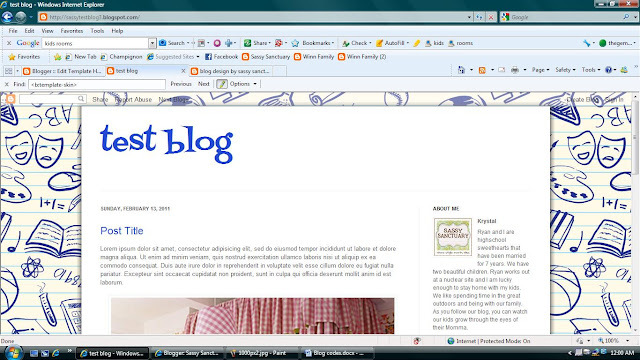 (click image to view larger) Change those numbers to the width you'd like your blog. I suggest somewhere around 1200 px. Do not change anything but the numbers. CLICK PREVIEW. If everything looks good then click save. To this. Look at all that extra room. Love! You will probably want to re-upload your header as it will now be a wee bit small, but that's an easy fix. Feel free to give any suggestions on any other blog design tutorials you'd like to see. I'm all ears! So are you guys sick of me yet? Man, this has been a busy blogging week! Of course, I had to get all my Valentines projects up before the whole thing was over. That's what I get for being a slacker! Anyway, I have a couple of fun things to share today. 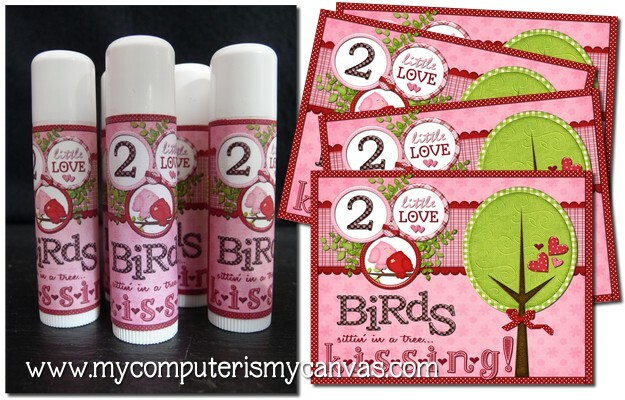 My Computer is my Canvas made these adorable chap stick labels. What a fun idea! 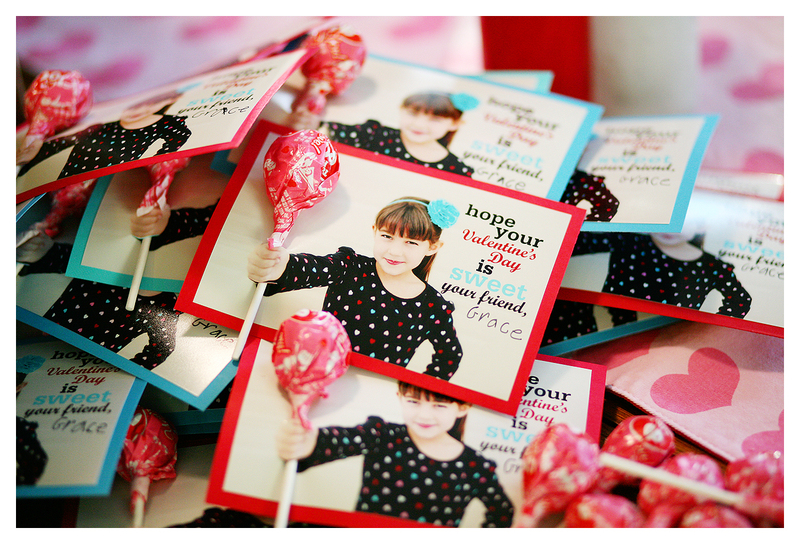 These would make a great alternative to candy attached to a Valentine or you could make your own to fit any occasion. They'd make great party favors. Great job Colette! Such a fun idea! And finally, I WANT this bowl! Doesn't it look amazing?!? Totally in love. The S﻿peckled Dog made it out of a thrift store salad bowl and a candlestick. I'm going to have to start scouting for some supplies because I have to have one! Thanks Kristi! Thanks for the inspiration ladies! If you were featured you can grab a button from the sidebar if you'd like. And by made I mean completely made, from scratch, all by myself, straight from my crazy brain to my shelf. Yes, I'm a little proud. I got a scroll saw for Christmas have have been so excited/ terrified about it. I love wood crafts and have been wanting to be able to cut and design my own stuff, but I was also SURE I'd loose a couple of fingers in the process. I finally decided to be brave and give it a shot. While it is f.a.r from perfect I think it turned out pretty good for my first cut. My favorite part is the little hearts hanging form the O's. To finish of the rest of my V-day mantel I added these two adorable love birds I found for 1/2 off at Micheal's. They are so cute! Totally in love with them! I also added this little cupid I cut from some pink vinyl to my mirror. So here is the completed mantel shelf with all the Valentines touches. I'll get a tutorial on the XOXO written up for you guys later today or tomorrow, and I heard your requests for a "How to stretch your blog past 1000 px" tutorial and will try to get that to you sometime next week. Hey everyone! Hows your week going? Mine has been busy. Not only do I have several craft projects in the works but I have been working with the most annoying client for a blog design... myself. 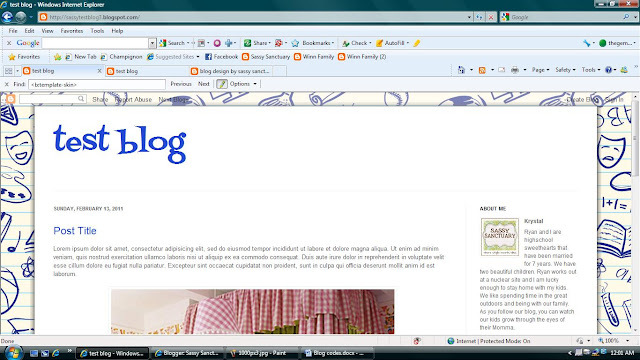 Yup, I'm re-doing my blog. Not that there is anything wrong with it, its just that I have learned soooo much since I have started doing blog designs and I feel that my blog needs to better reflect my abilities. The big reveal should be in the next couple of days. Anyway, on to business. Here are some awesome things I have found this week on my travels through blogland. Eighteen25 (love their blog) has been sharing a bunch of homemade Valentines ideas, but my favorite is the one they made last year. SO cute! I haven't heard if my son's preschool is going to pass out Valentines at their party yet, but if they are we are making these for sure! 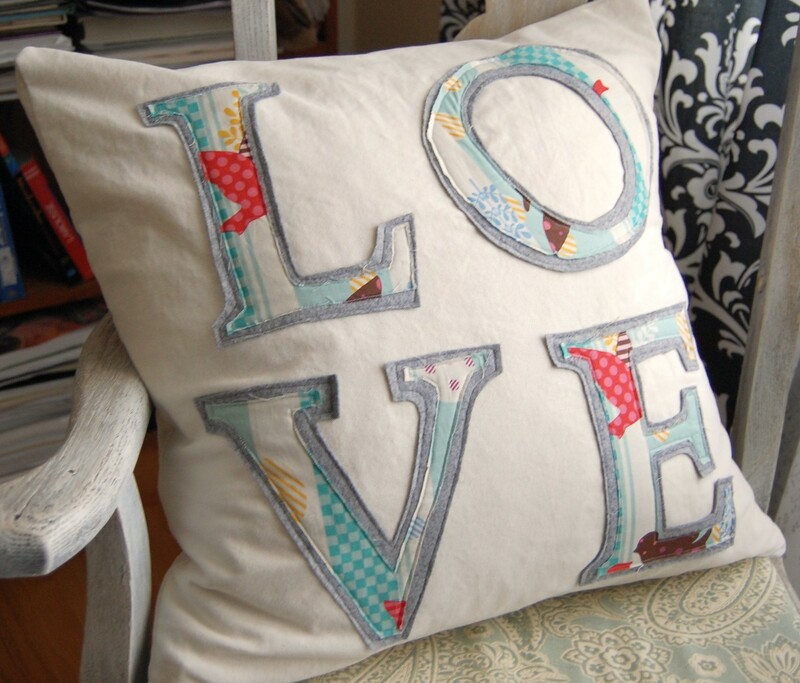 I love this pillow from A Crumbly Marriage. It's to die for cute. Love the layering and the color scheme. I would totally leave it out all year. We are in the process of transitioning our daughter from a crib to "big girl" bed and once I figure out what I'm doing for bedding I'm going to make a bunch of pillows. You can be sure a knock off of this one will make the cut! Now, I always love subway art, but I think this mixer from A little of this, A little of that ﻿is such a clever application. What a fun way to add some flair to your mixer and incorporate subway art in a creative way. Plus the fact that she actually thought to make half of her words upside down so that they could be read from both sides make her a genius. Love it! Thanks for the inspiration! If you were featured feel free to grab a button from the sidebar.